Not only has American brewing revolution brought new and distinctive new flavors to a new generation, it's brought new art as well. Numerous breweries striving to create own identity have commissioned artists to convey their own personality, as well as create memorable images for each beer in their line-ups. 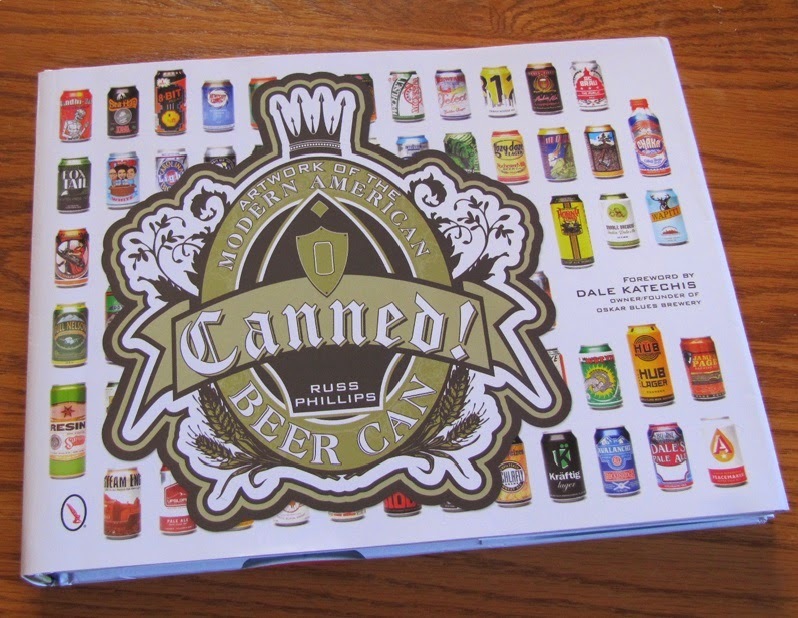 There's no better compilation of this staggering amount of artwork than the new book "Canned! : The Artwork of the Modern American Beer Can". Virtually every American craft beer sold in cans is displayed, along with short comments about the artwork or the beer itself. A few short years ago, this would've been a pretty slim volume since few craft beers were sold in cans. As the public has readily adapted to the concept that high quality beer can indeed be sold in cans, the craft beer industry has transitioned to release more and more of their product in cans. While a lot of this has to do with the convenience of the packaging and because cans preserve beer better than traditionally used bottles, the fact that cans provide an ideal canvas for branding artwork is certainly part of that motivation. Author Russ Phillips has been chronicling this phenomenon on his website Craftcans.com and the depth of his knowledge shows in "Canned!" his first book. The book is organized into sections based on US brewery geography, which a short history canned beer and a forward by Dale Katechis, the founder of Oskar Blues Brewery. "Canned!" one of those books you can start in the middle someplace and lose yourself while effortlessly leafing through the pages, discovering new beers and learning about new breweries while gazing at all the colorful artwork. "Canned!" is nothing less than an engaging document of an emerging and colorful part of craft beer culture.